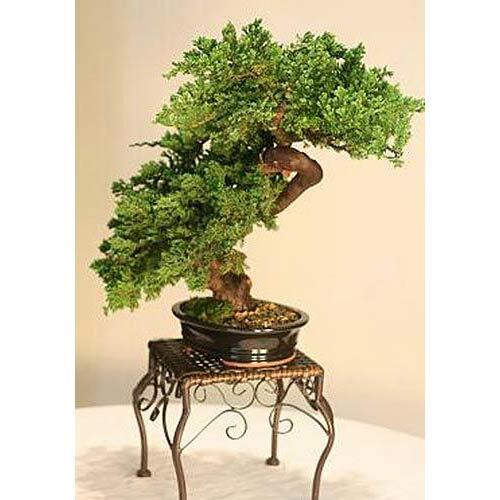 Brown is an earthy, natural color that is symbolic of stability, tradition and richness. 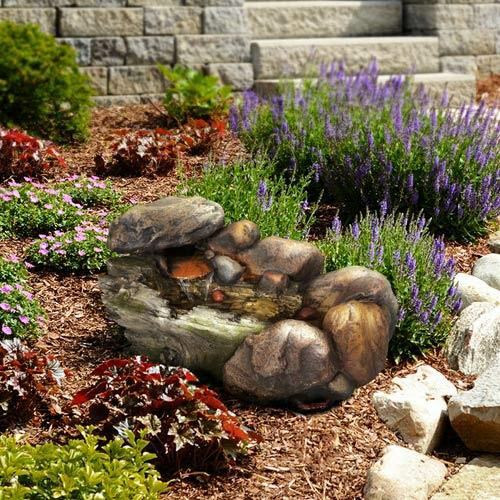 It lends a rustic look to any decorative setting and matches particularly well with most color schemes. 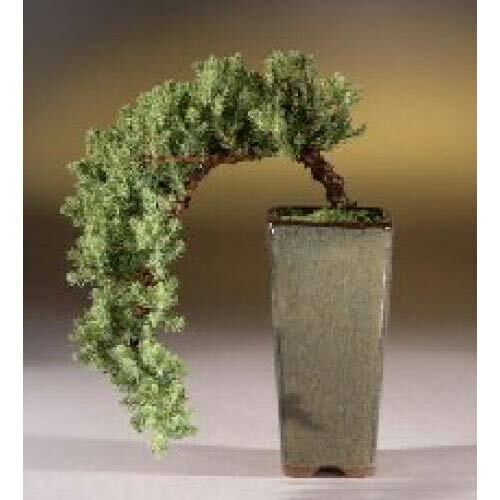 It is evocative of nature and when paired with any sort of handcrafted decor the color brown is a perfect fit. The beauty of brown is that there are many different shades of the color. 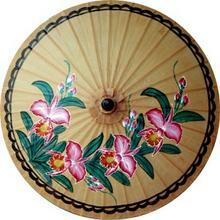 Check out our fine selection of brown Asian decor. A group of Chinese cranes bask in a magnificent scene of cherry blossoms, bamboo stalks, flowing water and radiant sun. 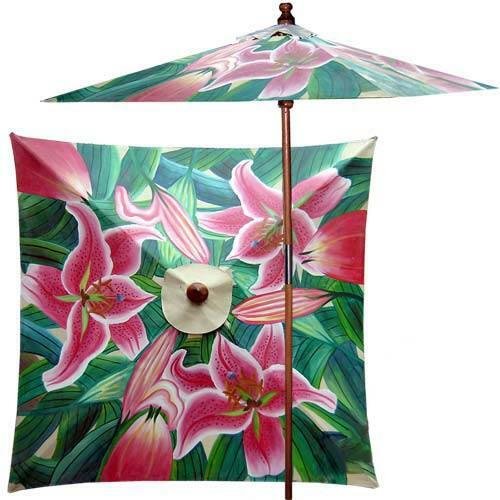 One of our most popular shade designs, this stunningly beautiful umbrella is sure to enhance any room or area. This stylish and sophisticated bamboo rug is perfect for adding a warm decorative touch to any room. Made of bamboo with a chocolate, brown finish for a magnificent look, this piece serves as an excellent bamboo mat or bamboo rug in any setting. 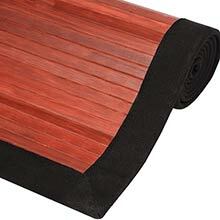 Click this rug to read about its features and see more photos. 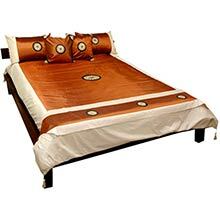 This attractive 6-piece Asian bedding set is completely hand-stitched with Thai silk for a rich and captivating look. It features a bronze color scheme with beautiful hues of cream, gold and black. Queen returning to stock soon. King returning to stock soon. A magnificent piece of Asian artwork, this framed painting from Thailand exhibits a maiden decked in an extravagantly colored dress. The predominant color theme of her dress is reddish-pink and bronze, creating a stunning display. 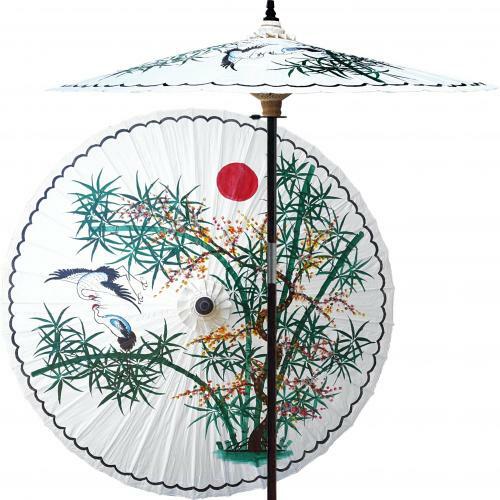 This extraordinary and artistic outdoor umbrella depicts the migration of Oriental cranes during the spring season. Each season represents a different part of life with spring being synonymous with rebirth. 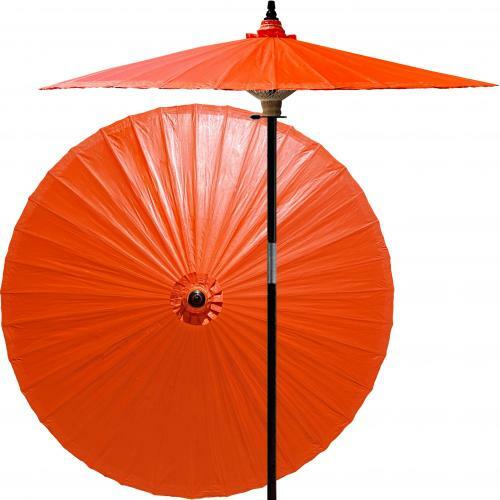 Great for any outdoor setting. 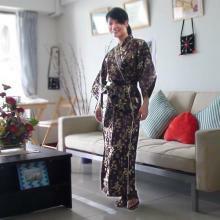 This beautiful brown silk kimono robe brings with it a traditional and sophisticated look. Brown is a conservative color that is ideal for those who prefer softer more muted colors rather than bright ones such as red, blue or pink. 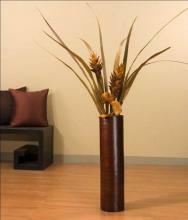 Experiment with various textures and colors with this 36-inch Fluted Bamboo Floor Vase. 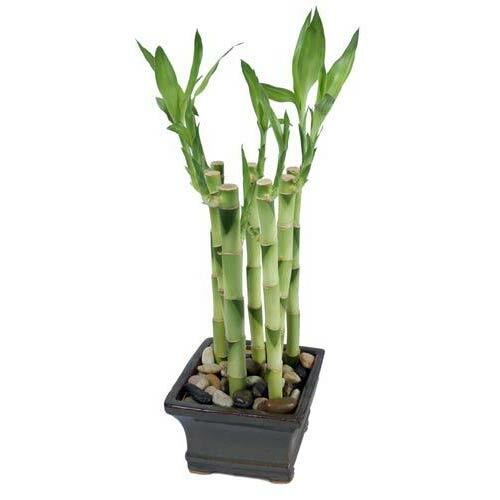 Made from natural bamboo, this vase is richly detailed to spice up large unused spaces. Try putting in dried flowers for a warm rustic appeal. 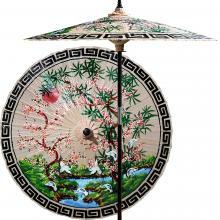 This artistic and elegant umbrella depicts Asian flowers, symbolic of the feminine element in Oriental culture. Brown is making comeback in the world of interior home styles and decorations. Formerly used in conventionally-styled and often masculine rooms and libraries, the humble brown is now the top choice for base colors as it can easily be matched with splashes of most any other color. 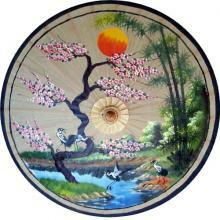 his wooden home decoration is the perfect blend of symbolism and stylish appeal. 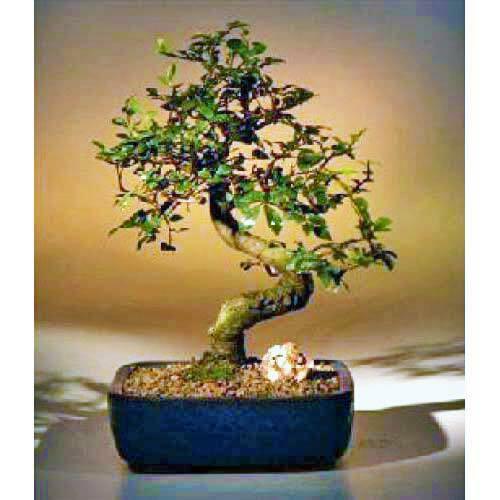 Handcrafted and made with only the best bamboo materials in the world, this vase is reflection of the rich Oriental culture that values the beautiful bamboo plant. 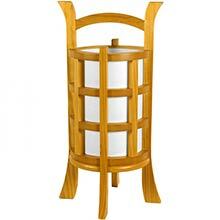 This stunning Japanese design lamp is crafted out of high quality wood and ideal for creating great Japanese home decor. Our Jin Lady chopsticks feature a pretty Japanese geisha on a dark brown bamboo stick. Add some excitement and style to your meals with this visually stunning chopstick set. This angelic wall carving from China portrays an Asian woman holding a ribbon in a forest scene. A pair of lotus flowers bloom at her feet.